Amidst all the fantastic new release information it would be easy to miss this new edition to the British range. 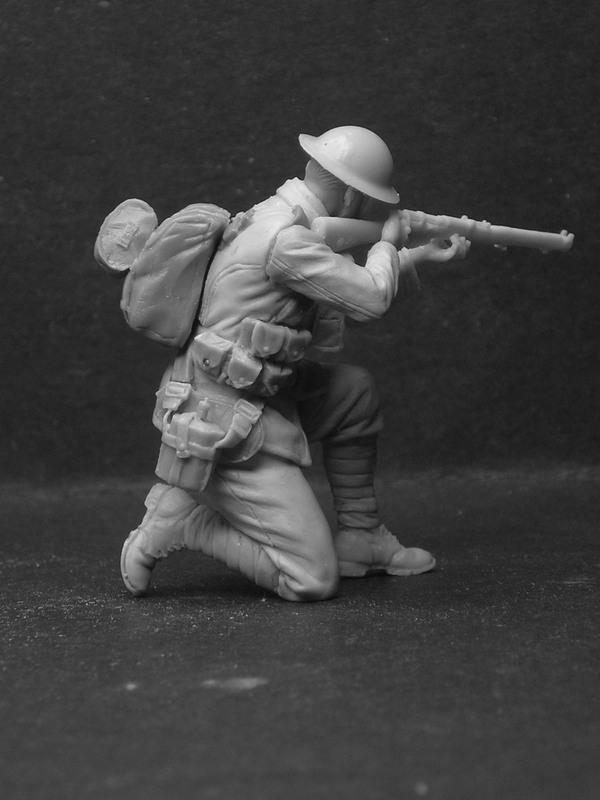 I’ve often been asked for a kneeling British firing pose, its popular with figure modellers for its versatility in dioramas and also as a single figure. With the code TW32044 I’ve given the figure the title of the London Regiment to fit with TW32040/41/42 and 43, I can see the figure in the line with those four offering support as they move forward. 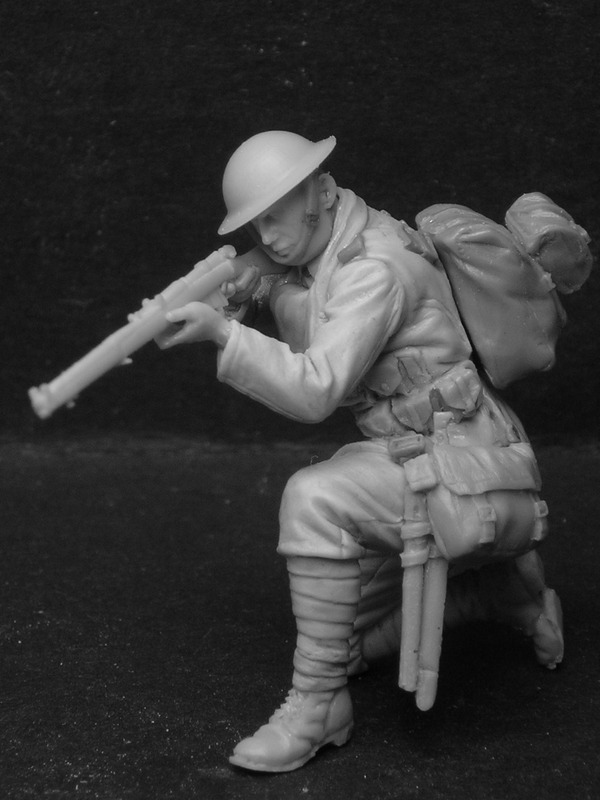 However, the figure is dressed and equipped in a style that is consistent with most of the British infantry regiments (and could even represent a Naval Battalion). 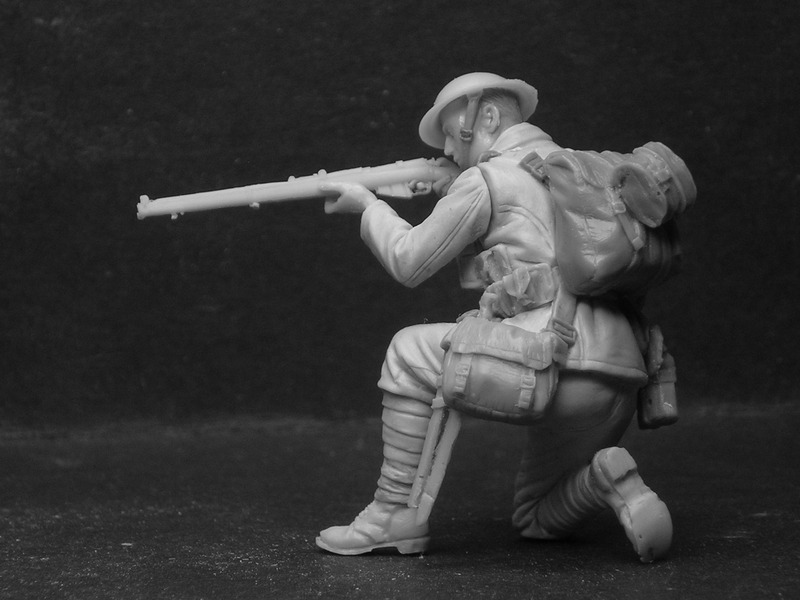 In response to many questions, the figure is also suitable to represent Canadian, Australian, New Zealand and South African forces on the Western Front, there was little, if any, difference in uniform. I’m working on a small scene to show the four original figures, this figure and the 2019 Collectors Club Special (TW32CC04) in a small vignette crossing no-mans-land. 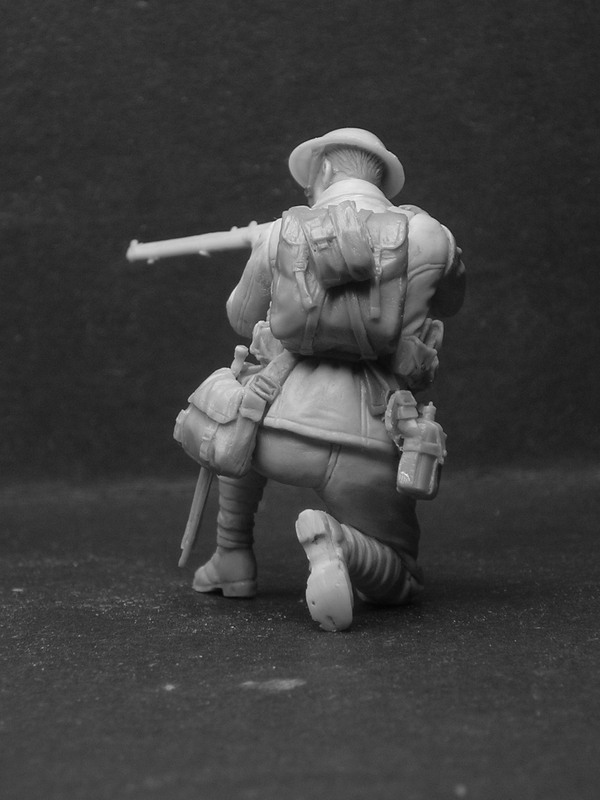 I’ll post some images and hopefully have it at Euro Miniature Expo.